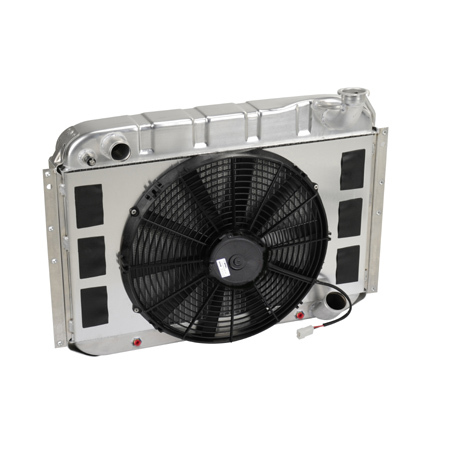 This package includes a "Direct Fit" aluminum radiator with a full face aluminum shroud and a Spal 16" electric fan. Incorporated into the shroud is six 6) rubber check valves which open at high speed. The "low profile" design features a smaller fan motor that allows for clearance of the factory sway bar. This fan provides 1610 cfm @ 11 amps. The kit includes one wire harness and temperature switch.